Former Birmingham City Council leader Mike Whitby has taken on a new high profile role to champion Midlands manufacturing - and help the UK attract 2 million more engineers in the next 10 years. The Midlands Peer, who ran Europe's biggest local authority for 8 years from 2004 to 2012, is the new non executive chairman of Made in The Midlands a key support group for the region's manufacturing base. Lord Whitby greeted his appointment by calling on the Government to recognise the key importance of wealth creators and inventors by elevating their status and standing nationally. With 300 members ranging from Jaguar Land Rover to Aston Martin and scores of SMEs, Made in the Midlands aims to support the growth of manufacturers and foster key links with government. Lord Whitby said the lobby group would play a 'crucial role' in helping the Government establish a new manufacturing blueprint for the nation and rebalance the economy. In a passionate speech the Midland Peer said 'the world is our oyster' post-Brexit, with unprecedented opportunities for global trade. 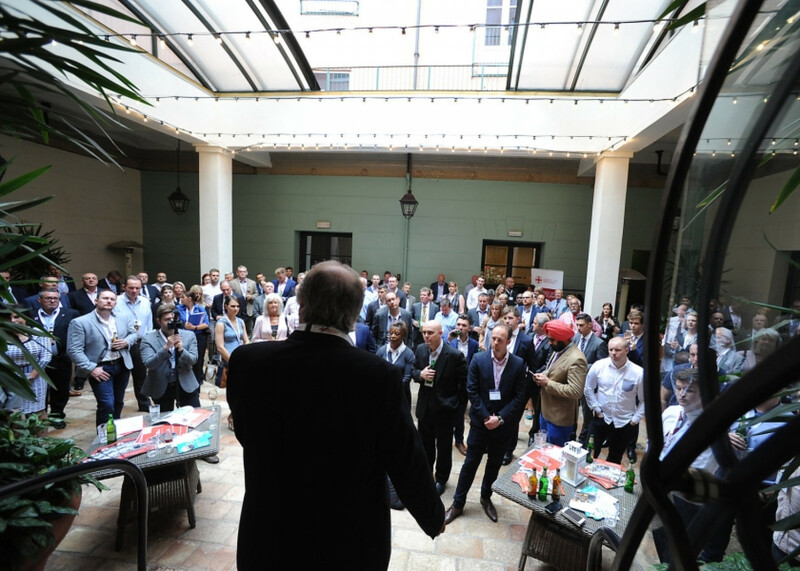 Lord Whitby was unveiled as the new non executive chairman of Made in the Midlands at a launch event at the Hotel du Vin in Birmingham when he told assembled guests that the UK was currently in a state of flux. 'We are where we are but there is a whole world to trade with'. 'We believe in the Midlands and we believe in our manufacturing capacity and it is essential that the UK recognises our importance - we should be seen as a major component in complementing the UK's growth agenda. 'We are the only region in the UK that has a trade surplus with China. Some of us in this room are doing extremely well. Lord Whitby told The Post 'As the new non executive chairman of Made in the Midlands I hope that our voice will be heard and influence the outcome of the business strategy that can rebalance the UK's business model. 'We want the business strategy to recognise and accept the importance of manufacturing to a balanced UK economy. 'The 23rd June has come and gone and now it is the global economy that is our oyster. 'The UK is the second largest European exporter to China after Germany and the Midlands is the only region in the whole of the UK which has a trade surplus with China - many of our members of Made in the Midlands are part of that supply chain'. Lord Whitby said he would be using his key contacts with senior politicians including new Business, Energy and Industrial Strategy Secretary Greg Clark and Liam Fox, Secretary of State for International Trade, to champion the region's manufacturers. 'I will be taking members of Made in the Midlands to meet a range of ministers. 'The UK will need 2 million engineers in the next 10 years and I see no reason why the Midlands, through its history and excellent academic institutions cannot contribute a significant proportion of those people. 'It is important if we are to attract the calibre of people into engineering that we hold them in the esteem they deserve. 'We have in the Midlands a formidable history of innovation, technology and production. What we need are more JLRs with the aspiration to be a global player. It is all about skills, technology and aptitude and if we are not careful we will lose that aptitude. 'Made in the Midlands will play a crucial role in formulating a business strategy for manufacturing which will not only benefit the Midlands but also the UK'. Lord Whitby has fostered key trading links with China in recent years and was instrumental in negotiations to retain MG's presence in Birmingham. More recently he has been acting as an international advisor to part Chinese owned body panels firm Covpress, which has seen annual sales rocket from 36 million pounds to 126 million pounds and the workforce doubled to around 1200.